There are several high-quality racing seat manufacturers, one of them being the Kirkey Racing™ brand. Please refer to the general racing seat sizing chart below as a starting point for choosing a racing seat. Properly Measuring Fitment for a Kirkey Racing™ Seat. 14" - 15" - 16" -17" 18"
13" - 14" - 15" - 16" -17"
14" - 15" - 16" -17" 18.5"
14" - 15" - 15.5" - 16" -17" 18.5"
14" - 15" - 16" - 17"
14" - 14.5" - 15" - 15.5" - 16" - 17"
14" - 15" - 16"
15" - 16" -17" - 18.5"- 20"
15" - 16" - 17" - 18"
14" - 15" - 16" - 17" - 18.5 - 20"
14" - 15" - 16" -17"
12" - 13" - 14" - 15" - 16"
10" - 11" - 12" - 13" - 14"
Kirkey Racing™ takes pride in producing hundreds of custom seats each year and Racecar Engineering™ makes it easy to order a custom racing seat. 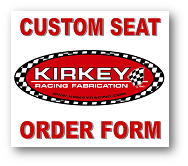 If you require a custom-made racing seat made to your specifications, get a head-start now by downloading the Kirkey Racing™ Custom Racing Seat Order Form by clicking the button at the right. After you have taken your measurements, please contact our Technical Sales staff for a price quote and estimated delivery date. 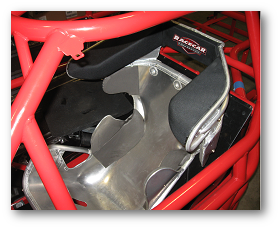 Please remember that Racecar Engineering™ carries a full assortment of all Kirkey Racing™Seat products and also the additional quality parts that Kirkey Racing™ offers like rollbar padding, steering wheel pads and more. *** RACING SEAT SIZING/FITMENT CHART DISCLAIMER: This racing seat sizing/fitment chart has been created by Racecar Engineering™ for our customer&apos;s reference and ease-of-use using the latest fitment information available from the factory. 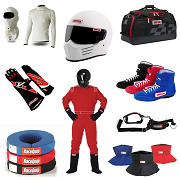 Please always refer to the factory website, factory printed materials and factory personnel advice for the latest racing seat information about their brand of safety product. The Kirkey Racing™ factory website can be accessed directly at www.kirkeyracing.com. 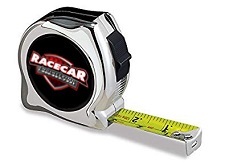 (link opens new page) - Racecar Engineering™ is not responsible for any typographical errors contained in this racing seat sizing chart/fitment material or the end-user&apos;s failure to verify & follow factory fitment specifications.